Stores Ref. 22c/930. The frames have paint loss on exposed edges but are in good overall condition. The leather surround is also good and the suede backing has only light soiling. It is also marked with the original owner's name/service number - now partially inked over. Both clear lenses look quite good and are free from cracksbut do have some delamination. The strap elastic is a bit soiled and faded, retaining only a little elasticity. Metal parts have surface corrosion. 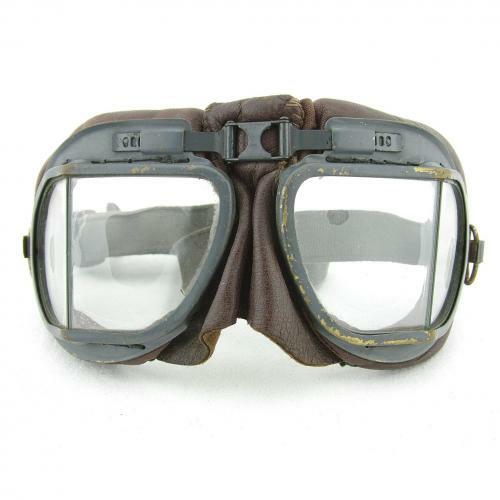 A reasonably good pair of goggles. Stock code G93.